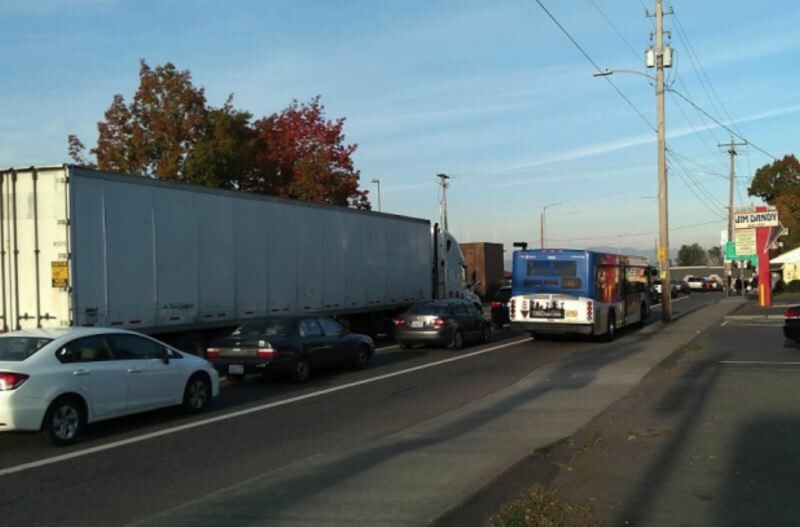 You can't paint away the traffic — but TriMet says simple lane changes have decreased bus delays during peak-travel times by as much as 60 percent. The regional transit authority and its partners implemented 10 quick fixes mostly within the past year. Officials plan to apply paintbrush to cement in up to 21 more locations with commute-killing congestion in the coming months and years. "These specific projects were designed to be relatively inexpensive, and (they're) one of the cheaper ways to make improvements that are helping the buses move through traffic," TriMet spokeswoman Tia York said in an interview. In most cases, TriMet is working with the Portland Bureau of Transportation in order to add turn lanes so buses don't get stuck behind cars. York couldn't immediately provide a price-tag for the 10 completed projects. "We helped identify some hot spots where our buses are getting stuck," she said. "We're very grateful to the city of Portland for making these changes and prioritizing transit." York notes that these smaller changes are unrelated to the Central City in Motion plan that will be considered for approval by City Hall later this month. City leaders already adopted the Enhanced Transit Corridors plan in June. PBOT restriped Northeast Sandy Boulevard, extending an eastbound right-hand turn lane between 96th Avenue and Killingsworth Street. That allows Line 21 buses to sneak past traffic waiting to access Interstate 205. TriMet says the change has dropped evening delays by up to 60 percent. Five bus lines serve the tricky starfish-shaped intersection of Southwest Harrison Street and Fourth Avenue, which is located just blocks away from the transit agency's top destination: Portland State University. 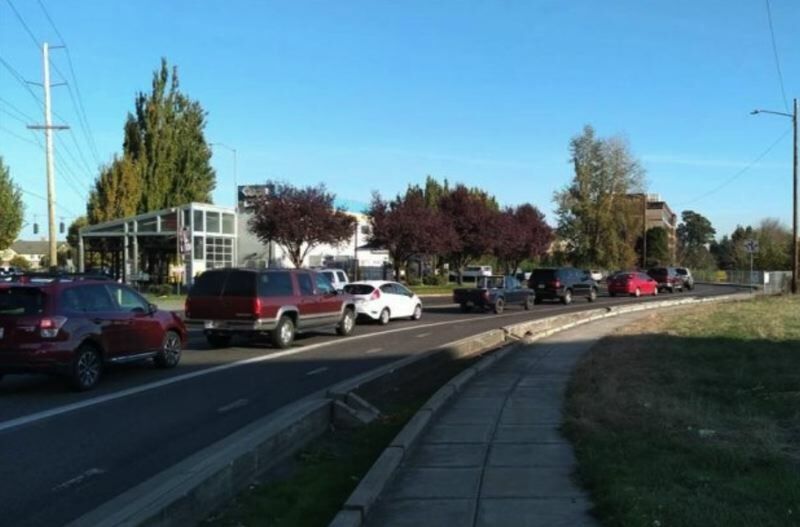 In June, the Portland Bureau of Transportation added a designated left turn lane for eastbound drivers on Harrison, decreasing delays during evening rush hour by 20 percent. Previously, buses were stuck behind vehicles turning left, sometimes for multiple light cycles. PBOT redesigned eastbound Northeast Holman Street between 112th Avenue and Airport Way in May, allowing buses to bypass traffic waiting to turn onto Interstate 205. TriMet says delays are down 17 percent all day on Line 87 — with a 37 percent decrease in delays for afternoon commuters.